No, I’m a ten! Happy Halloween, you freaks! Welcome to another horrendous and spine-tingling episode of SmackDown RunDown Live with Smark Henry’s very own demo-gorgeous writer Ricky (sorry, just finished binging Stranger Things Season 2). This week was all about building the Blue Brand’s Survivor Series team. Let’s see who we got. Let me just say this upfront: I’m really enjoying how the formation of the men’s Survivor Series teams reflect the overall personality of the respective brands. Ever since the first brand wars in 2005, SmackDown’s strategy has been to make each member earn the right to represent the brand through qualifying matches while RAW just picks the biggest dudes. This couldn’t be any truer now as SmackDown Live chose to go back to this strategy and strengthen their Land of Opportunity adage while RAW, well, they just added Braun Strowman to the team. I wonder if they’re going to have a parking lot brawl. That was fun back then. 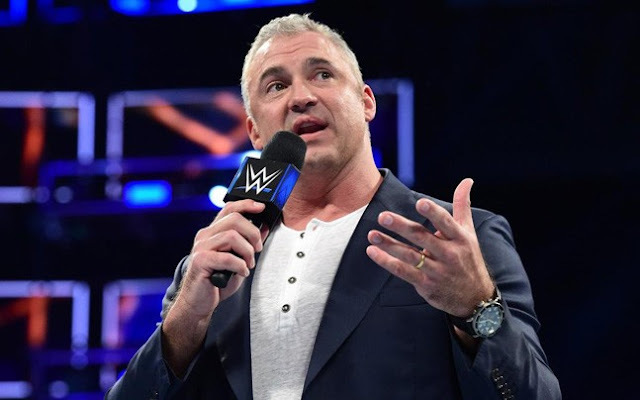 So anyway, Shane McMahon opened the show to add himself to the Survivor Series team and nominate himself as team captain. Now I know why the previous statement contradicts my previous paragraph but hold your complaints just yet. I really don’t mind if Shane is the captain. Aside from the fact that he’s the commish and all, it also gives Kevin Owens and Sami Zayn a reason to hate his guts even more and prove their belief that Shane is a psychopathic egomaniac. It will also prove Daniel Bryan’s theory that Shane has become reckless and it will probably be used to further their management tension. So don’t complain and let the 47-year-old man get suplexed through a glass wall again by Kurt Angle. Wait, what? The second superstar to qualify was Bobby Roode after winning his 2-out-of-3 Falls match against Dolph Ziggler. This match previously had no stakes so I’m glad they gave it one to justify its existence. After a grueling match riddled with commercials, Roode came on top and definitely laid this rivalry to rest. Then he cut a promo that was so #cringe, it felt like Creative just gave him a bunch of tweets to read aloud. 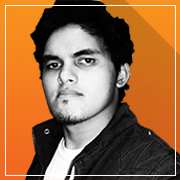 I remember the days when faces can have good scripts and not rely on sappy and boring promos to get them over. Is it really that hard to write promos for babyfaces now? Pro-tip: don’t give them hashtag promos because they’re #annoying and #cheap. 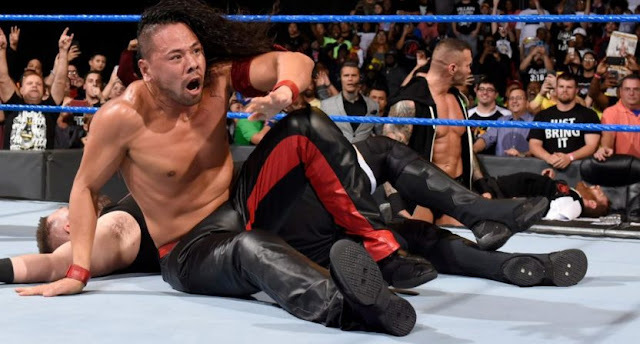 Shinsuke Nakamura became the third man to qualify after beating Kevin Owens in this week’s main event. These two always have great chemistry together and with the right amount of shenanigans, it became one of their best encounters. KO’s guardian angel Sami Zayn tried to help him but Randy Orton came out for the save. I’m a bit disappointed he didn’t give Sami an RKO frararrnarwar, but I guess the backbreaker on the table would do. Now the seeds of betrayal have been safely planted and at Survivor Series, expect these real-life beshies to spoil the fun for Team SmackDown. I wish they’d still win, though. And while Rusev didn’t qualify this week, he demanded a spot on the team and he got an opportunity to earn it instead next week against AJ Styles. If Shane wasn’t supposed to compete, I’d give Rusev a slot on the team and have Styles lead them, but I’m afraid we all know what’s going to happen next week. It’s a shame, really. Rusev needs something to go on other than his Rusev Day gimmick and Aiden English as his lackey. 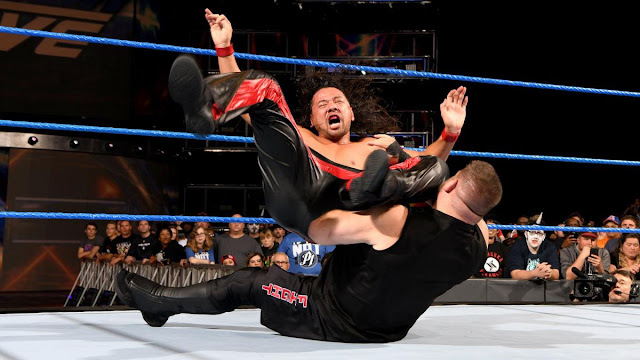 Making them a tag team is good, but being Team SmackDown’s designated muscle and eliminating at least one key player from RAW would definitely bring back the mean streak he used to have. 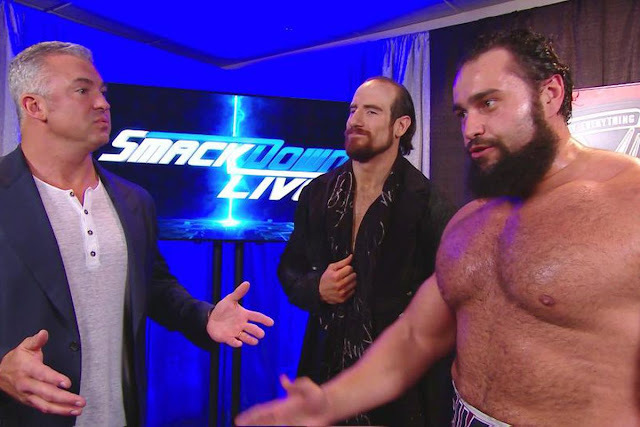 Don’t you want to see Aiden English as this year’s SmackDown mascot? He’d sing all the entrance themes. Vibe: Minus the horrible promo, this is the Jinder Mahal I want to see week after week. Isn’t this why you gave the guy the WWE Championship in the first place? To see him dominate and be a tactical and resourceful heel at the same time? So yes, this one’s a good example of how you should book Jinder from now on. And try to give him a better script next time. You want everyone to call you Beastmaster? Really? Why not call you He-Man or Jinder the Barbarian while we’re at it? I think Jinder has the same promo writer as Bobby Roode. By the way, I’m excited for Barack Lesnar come Survivor Series. I loved his works in the indies. Vibe: Finally, a Fashion Files segment worth watching! I may be biased here because we just finished binging the latest season of “Eleven and Friends” but man, this was a fun segment! From Tyler Breeze dressing up as Eleven (as you do) to Tye Dillinger’s awesome cameo, the parody was executed flawlessly. Even the tasty Uggo’s made it! Plus points for Corey Graves’ over-the-top reactions of disgust during Saxton’s pre-segment spiel. The final shot of a Jigsaw-looking mask creeped me out but I’m still hyped for next week’s Fashion Jaws. Vibe: The women of SmackDown Live only had one segment to try and sell their upcoming Survivor Series match and I appreciate the fact that they seem to be united for now. I love it when faces and heels band together over one common goal. I do hope they add a stake soon, though, not just with the women but with every match in the Survivor Series card. We have a few more weeks to build this match so I’ll give Creative some space to figure things out. Maybe the sole survivor/s of the winning team will get a future Women's title shot? That's a start. Meanwhile, the Uso Penitentiary and the Benjamin and Gable, um, Recreational Facility (that works, right?) continue to blur the lines of what makes a team face or heel. I still don’t know who to cheer for and who should I boo. Most of you have probably made up your minds, I on the other hand is still on the fence. Are we going to have a double turn next week? Or did a double turn happen already? Someone enlighten me. I think Gable and Benjamin are dicks. Blue: Well, I guess we have to take Sin Cara seriously now. He just beat up Baron Corbin on the way to a double count-out, with Cara gaining the upper hand. Well, good for him. Let’s push more guys to the spotlight, you know? This is maximizing the roster done right and I do hope they give the rub to the other guys in the back. And hey, the Blue Brand needs a luchador. I’m just saying, The Miz had a great match with Matt Hardy this week while Corbin got beat up. Their match is still happening at Survivor Series, right? Vibe: Also, the New Day wins this year’s Halloween costume contest as Jimmy “The Trumpet” Hart and Brother Kofi Love escorted the color-appropriate Akeem “The African” Dream-E to the ring. Too bad Akeem lost to Rusev, but still, they won Halloween and there’s no better honor than that. Honorable mention goes to the “Perfect Eleven” Tye Dillinger. SMACKDOWN RUNDOWN: This week’s show was all about building the SmackDown team and it was a great night overall. Solid matches opened and closed the show while the rest did their best to make the show as solid as possible. I do wish they gave us an update of the D-Bry situation but I guess they’re stocking it up and all the underlying storylines for the weeks to come. We’re two weeks away from Survivor Series and I don’t know about you, but I’m pumped to see #RawResbak happen. For now, let’s give this show a B+ for that Fashion Files segment alone. Did you enjoy this week’s SmackDown Live? How was your mini-vacation? Try not to get Barb-ed at the comments below.